I love the kind of dinners where our menu is a joint effort. Blake takes care of the meat...and I got the veg. We like to eat together as much as possible, especially on the weekends when we have time. Sunday night's dinner is one of my all time favorites...especially in the summer when we can throw everything on the grill. 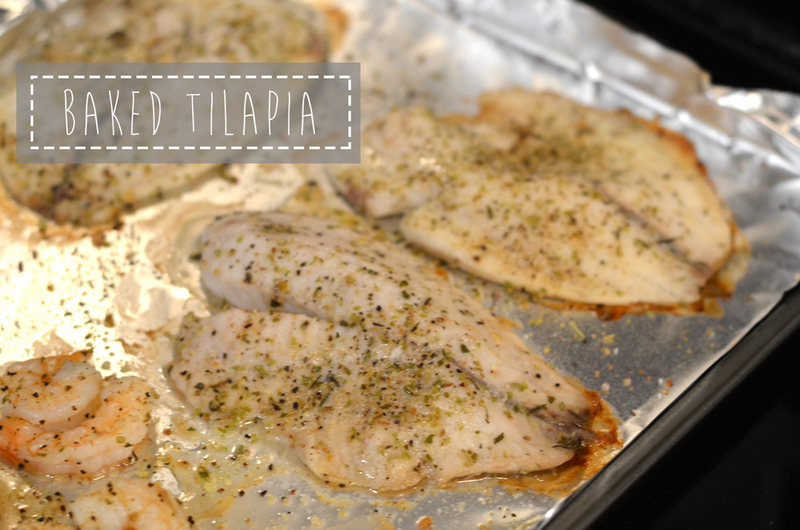 First there was Baked Tilapia. With some shrimpies on the side. And of course some beer for the man. The shrimp was precooked and frozen, which we only buy on-sale at Target. Blake used a little salt and pepper tossed in about 1T of minced garlic (we love garlic). 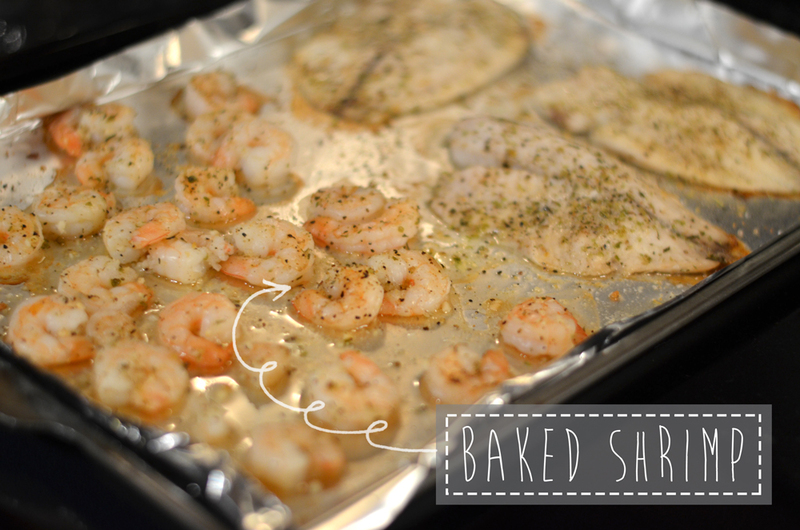 Even though the shrimp was precooked...we baked it along side of the Tilapia at 400 for 10-12 minutes. We also buy our Tilapia, frozen from Target...on sale. 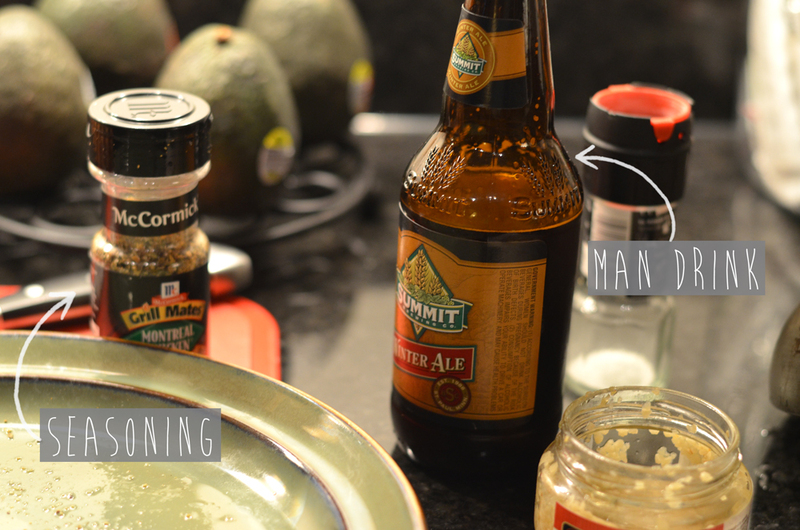 Blake used salt, pepper, and a little Montreal Chicken Seasoning. Don't forget to use a little bit of non-stick cooking spray on the tin foil to ensure it doesn't stick. Just because it's for chicken doesn't mean you can't use it fish! Bake at 400F for 10-12 minutes. 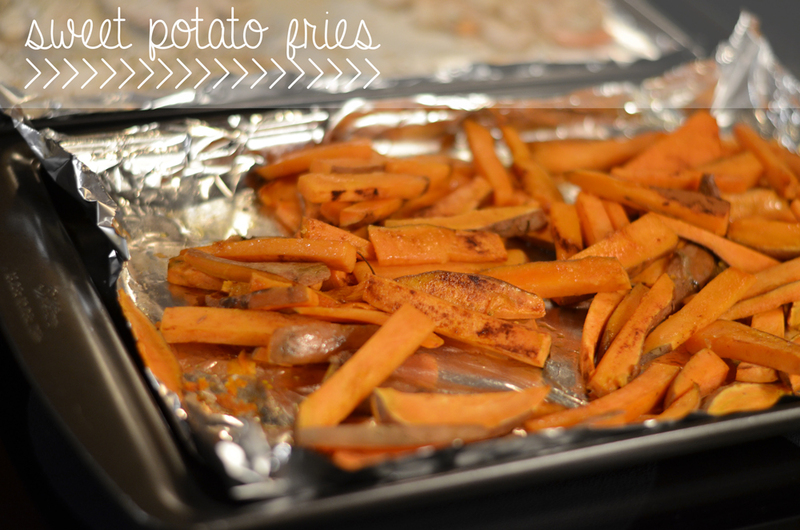 I cut up 2 extra large sweet potato in thin slices, making sure I would have enough for left overs. I used a little bit of olive oil, salt, and cinnamon. Bake at 400F for 35ish minutes or until tender. Who ever invented tin foil is pretty much my best friend. It makes for extremely easy clean up. No sticking and no mess! A beautiful dinner, with hardly any effort at all. What is your all time favorite dinner?